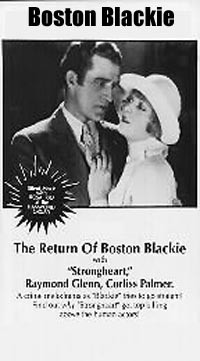 This is the last of the Boston Blackie silent movies. Blackie is suspected of having stolen a valuable necklace. Blackie must somehow return the necklace without gettting caught. Bob Custer and had a career in B-Westerns. When Boston Blackie was released from prison he vowed to go on the straight and narrow path of virtue. He is met a the prison gate by an old friend and Strongheart the dog, the real star of the movie. Meanwhile, Blackie gets involved with pretty blond Sylvia Markham who is suspected of stealing the "the Markham Necklace." Blackie knows she is innocent and instantly tries to help her by taking responsibility for it. He can't believe she's guilty because she has clear eyes; later general doubts about Blackie's honesty are refuted by her because he had clear eyes too. 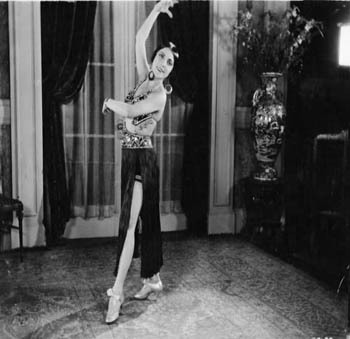 As it turns out one of the family secrets is that Sylvia's errant father, John, had given the necklace to dancer Necklace Nellie. Now Boston Blackie has to save the day by performing one final heist: Take the necklace from Necklace Nellie and return the necklace to its owner's safe without getting caught before Denver Dan can steal the necklace from Necklace Nellie. This movie was 77 minutes long but after its primer it was re-cut and only shown once at 70 minutes. In later years it was re-cut to as little as 57 minutes. So if you are lucky enough to view a copy of this movie, if it is less than 77 minutes it is a re-cut version. Strongheart the Dog has a star on the Walk of Fame in the Motion Pictures Category, Star Rank 1988. The address is 1760 Vine Street, between Hollywood and Yucca, east side, GPS 34.102892,-118.326552.